During the Business Pitch session, industries, businesses and organisations are invited to present problems for which they seek technical expertise, innovative solutions, and partnerships within the research community. Presentations will be in the form of 5-minute pitches in English, followed by 5 minute Q&A session from the interested audience. Στην προσπάθεια μας να εξασφαλίσουμε Πιστοποιητικό Τελικής Έγκρισης για τις εγκαταστάσεις μας στην Βιομηχανική Περιοχή Στροβόλου από το Δημαρχείο Στροβόλου, μας ζητήθηκε η συμμόρφωση με τις ισχύουσες απαιτήσεις του Συμβουλίου Αποχετεύσεων Λευκωσίας προς απόκτηση της σχετικής Συναίνεσης. Με γνώμονα την περιβαλλοντική ευαισθησία που διακατέχει την εταιρεία μας καθώς επίσης και το ενδιαφέρον προς επίλυση του πιο πάνω προβλήματος, επιζητούμε τις δικές σας εισηγήσεις και εναλλακτικές μεθόδους για βελτίωση των πιο πάνω δεικτών με στόχο να εξασφαλίσουμε την Συναίνεση του Συμβουλίου Αποχετεύσεων Λευκωσίας με το χαμηλότερο δυνατόν κόστος προς την εταιρεία μας. We want to create a credit rating model for Cypriot companies however, there is insufficient financial data available. We seek the help of the University in order to collect and analyze data available in Cyprus as well as the rest of the European countries in order to build a sound credit rating model together to rate Cypriot companies. The increasing trend in the construction industry and in manufacturing system in Cyprus, has led the company to adapt its product and services to more innovative ways and processes. Namely, for 42 years, Nicolaides & Kountouris Metal Company Ltd, has been developing its products by utilizing and establishing new innovative practices, receiving important awards and certifications, implementing EU funded projects developing and maintaining effective collaborations with Higher Institutions and other Stakeholders. The company constantly accepts market challenges that lead to more product improvements and the development of new ones. Therefore, this presentation focuses on the challenges of industry development the company constantly faces and how it effectively and efficiently adjusts to real time production monitoring system. The presentation shortly describes the company’s’ emphasis on the importance of an operating model which manages data and activities and improves efficiency and stability. To achieve this, a multidisciplinary approach must be taken into consideration, encorporating elements of mathematics, statistics, engineering, and even some social and psychological aspects. Oceanic Catering is a leading supplier of marine hospitality and catering services. Oceanic has physical presence in 12 countries, and currently services more than 1300 vessels. With our extensive network of partners and suppliers, we provide our services in most of the major ports of the world, sourcing the goods to prepare more than 36 million meals per year. The Stock (goods/raw material) on the vessels has been paid from, and belong to OCL. There is millions’ worth of raw materials, stored in more than 1300 vessels, in almost all the seas of the world. The cooks that are responsible to provide a monthly Stock (inventory) report do not work for us, thus we have no control. To add to the complexity, the suppliers provide goods in all shapes and sizes (different units of measure, different packaging). The performance of the company relies on monthly reporting cycles. What can we do and how, in an effort to control the quality, accuracy and timely delivery of the reporting from the vessels? Thanos Hotels has always been one for adapting to the ever-changing business environment within all our departments and hotels. As social media and online presence becomes more mainstream of communications, advertising and sales for businesses, it is a top priority to keep innovative and in connection with clients, suppliers and other third parties. Our aim, at Thanos Hotels, is to endeavour to still pose a high standard of professionalism online to guests and suppliers yet keeping an up to date connection with both through all forms on online interaction. This however sometimes does not extend to our counterparts, suppliers and other third-party companies. Businesses are opting to have only Facebook/Instagram pages which in turn loses some form of professional expertise as well as a reliable source for information and services on the company. On a whole there is still a level of backwards working within Cyprus’ business industry. With the use of fax and paper-based systems that are now outdated and proven to be costly, time consuming and, in the use of so much paper, detrimental to our environment. Another major aspect of this online presence is the interconnectivity between businesses and software. Thanos Hotels, on a daily basis, deals with transactions from individual sales level to multi contractual levels. These transactions for worldwide companies such as Visa integrate well with our management and payment systems making this an easy and smooth procedure for both parties. Cyprus based companies however are still to adapt to these new systems and payment processes between suppliers and other companies for our hotels can be a stressful and overcomplicated method. 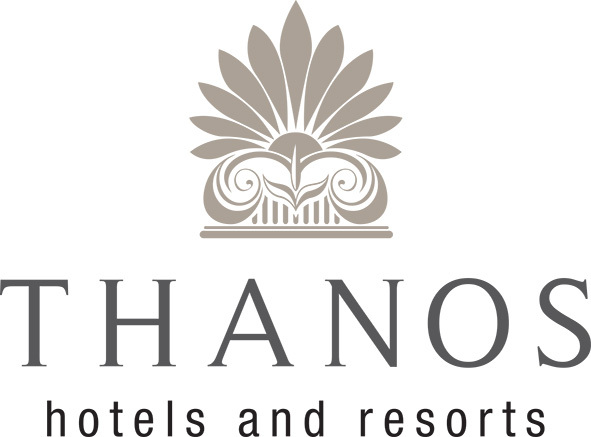 Thanos Hotels’ presentation will focus on new technology and online presence and the implications these new ventures have on Cyprus’ growing businesses and industry like Thanos Hotels.